Its closing on June 30 leads to a question people hunger for: Why are there so few Jewish delicatessens left in the Big Apple? Leaving the iconic kosher delicatessen Ben’s Best in Queens, N.Y., these past few weeks, diners made it a point to wish owner Jay Parker the “best of luck” in the future, as they shared memories of a place that will stick with them, along with those sides of homemade knishes and cole slaw. After 73 years, the restaurant closed its doors on Saturday. Customer Bruce Blecher, 41, had just finished a meal with his young son when he got teary-eyed talking to JNS about the deli’s closing. 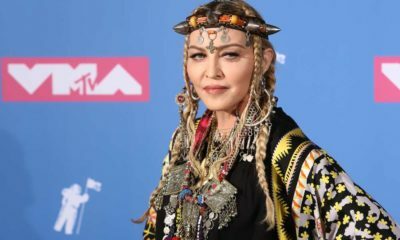 He reminisced about coming to the Zagat-rated restaurant as a child and his close connection to the staff members over the years, saying some of them have even been over to his house. The restaurant, on Queens Boulevard in Rego Park, announced via Facebook in early June that after seven decades in the business, it would shut its doors on June 30. The post elicited responses from sad and even shocked customers. Many pleaded Parker to not close up shop. The deli owner told JNS that the restaurant has been struggling for more than a year now to manage its business with the addition of bike lanes on Queens Boulevard. They went into effect in August 2017 by the Department of Transportation and cut nearly 200 parking spaces in the vicinity, subsequently slicing Parker’s business by 25 percent. 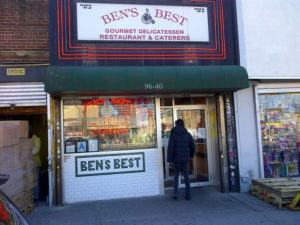 Parker’s father Benjamin opened Ben’s Best in 1945, naming it after himself. Jay started working in the deli when he was 11 or 12 years old, and eventually bought the place from his father. Jay also met his wife at the restaurant when she came in to place a holiday order for her company. 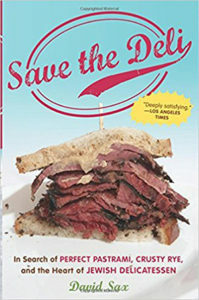 New York was once so synonymous with Jewish delis that it was called the “de facto world capital of Jewish delicatessen” in the 2010 book by David Sax titled Save the Deli: In Search of Perfect Pastrami, Crusty Rye, and the Heart of Jewish Delicatessen. 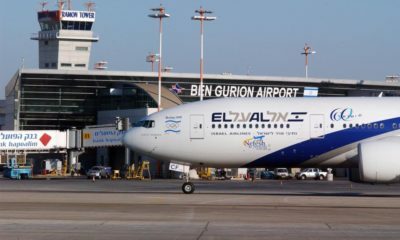 The restaurant has fed political figures and celebrities alike, including former mayors of New York City Ed Koch and Rudy Giuliani, comedian Jerry Lewis, Israeli President Shimon Peres and New York Gov. Nelson Rockefeller. 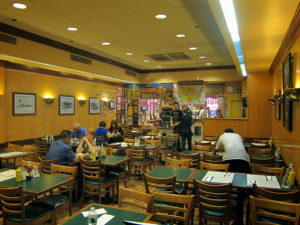 The deli was used as a production set for the 2016 film “The Comedian,” starring Robert De Niro and Danny DeVito, and was featured on the popular Food Network show “Diners, Drive-Ins and Dives.” It also appeared in “Deli Man,” a documentary released in 2015 that chronicles the background of Jewish deli owners—and the future of the industry—as they grapple with changing demographics and more. 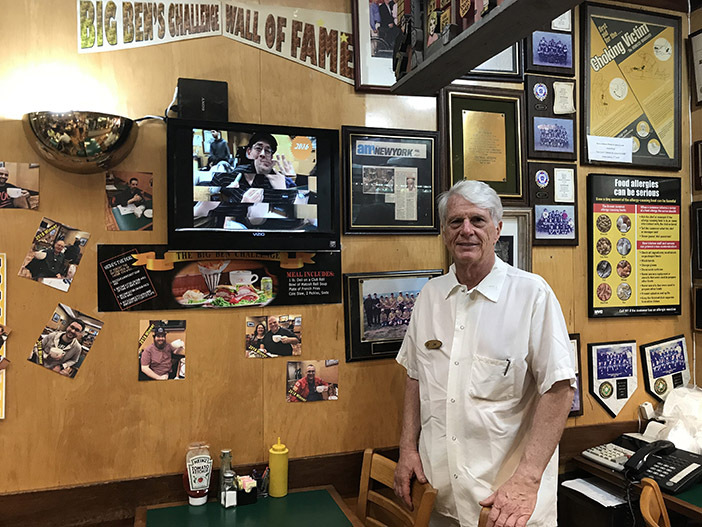 The interior of the mom-and-pop-style deli is decorated with pictures and plaques that show its history and mark on the community, including the fact that it sponsored a local Little League baseball team. A map on the wall reads, “You’ve been in our home. Where is yours?” and allows customers to place a pin on where they are from. “I have never been on a vacation any place in the world where people haven’t run up to me yelling, “Got a corned beef sandwich?” Jay said of his celebrity status because of the restaurant. 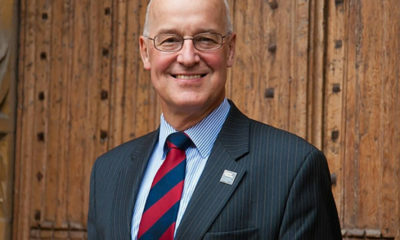 He related that he and his wife were in Acapulco when people jovially shouted the question over to them from across the street, and it happened in England as well. 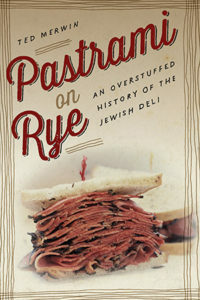 Author Ted Merwin wrote about the same topic in his 2015 book Pastrami on Rye: An Overstuffed History of the Jewish Deli, which follows the rise and fall of Jewish delicatessens in American Jewish culture. 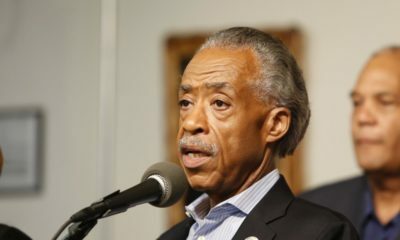 Jay’s friends in the industry have promised to hire some of his staff for their own famous New York Jewish delis, including Second Avenue Deli, Mr. Broadway and Ben’s Kosher Delicatessen. For years, experts have given good thought on the Jewish delicatessen business and why such restaurants are dwindling in number. 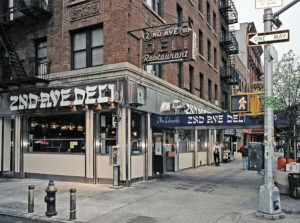 In the 1930s, there were at least 1,500 Jewish delis in New York. Delicatessens were the place Jews went to get the foods their relatives ate in Eastern European and where non-Jews went to see what the Jewish culture tasted like. Today, there may be fewer than 12 kosher delis still open, according to Jay Parker. 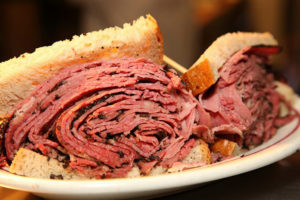 Parker believes that there once were so many Jewish delis because the type of food served in those establishments was exactly what Jews brought with them to America. Talking about his own grandparents who made the journey from Eastern Europe, he noted that “they didn’t have jobs. 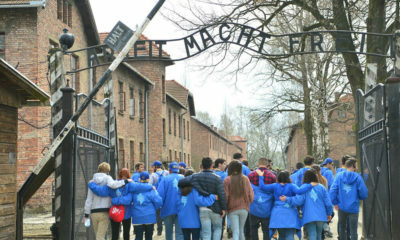 They didn’t have any education. So they fell into whatever they could fall into. As new immigrants, the three things they had to provide their family with were food, shelter and clothing. So, my grandparents built the deli, lived in the back, and you could work day and night because the only thing you had was your labor. You didn’t have money. 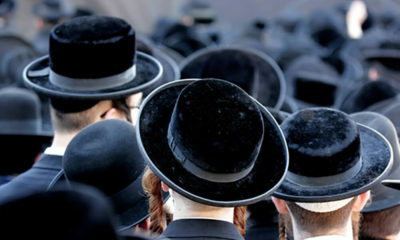 Among resources who discuss the declining number of kosher delis comes a repetitive mention about a change in the choice of food among patrons. Many now opt for trendier and other ethnic foods—Indian, African, sushi—and don’t care as much about the food connected to their Jewish heritage. 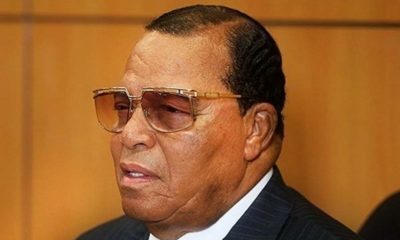 A major reason for that is assimilation, according to Michael Kane, owner of the kosher butcher and catering establishment Park East Kosher in New York City. Parker called his restaurant’s closing “bittersweet,” and said he has no plans to relocate Ben’s Best and start over new somewhere else. He told JNS, “We had something wonderful, great and terrific, and it’s not transferrable.” He hopes to travel more, ski, go mountain-climbing and spend more time with his granddaughter in Boston.